La Spezia, Cinque Terre, Val di Magra and Val di Vara and the nearby Northern Tuscany are incredible lands to discover: take a few days to live it with us! Arbaspàa Tour Operator, post by post, will advise you about how to visit, will show you the curiosity of these wonderful lands and, as if you were a special friend, will tell you how to enjoy yourself and how to relax. Here are some tips for you: are you ready to take note? 4) Enjoy a dinner based on fresh fish in the quiet villages Le Grazie and Fezzano. Along the provincial road Napoleonica, which connects La Spezia and Porto Venere, there are the enchanting little villages on the less well known sea, but still deserve a visit. Immersed in a relaxed atmosphere, characterized by painted houses with typical Ligurian colors, Cadimare, Fezzano and Le Grazie are also known for renowned restaurants that offering fresh fish dishes, cooked in traditional and innovative recipes. 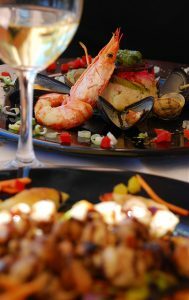 Mussels "alla marinara" and filled, seafood spaghetti, fish grilled, fried ... everything, accompanied by excellent local white wine: even the most sophisticated food lovers will be happy with this delightful culinary experience. Give yourself a tasteful evening: one of the best ways to know the area. 5) Dive in the crystal clear waters of the Porto Venere Natural Park (http://www.parconaturaleportovenere.it). The most beautiful sea, in a UNESCO-listed territory on the list of World Heritage Sites, with the Archipelago Spezzino and the Cinque Terre, will be the location of this proposed by Arbaspàa in two versions: for beginners and experts. 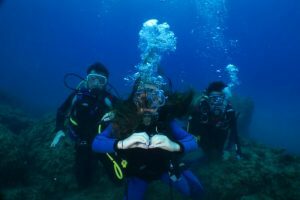 The first, accompanied by a trained instructor, after a theoretical lesson, will let you discover the underwater world in the "baptism of the sea" (http://bit.ly/2td2huF), the second will be guided in a sea route between the amazing beauties of these rich flora and fauna swamped (http://bit.ly/2yEICut). 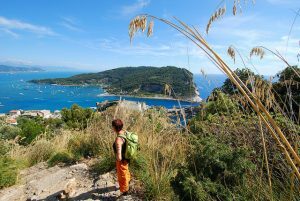 Sport, nature, exploration: an experience that you will remember, to know Porto Venere and its beauties from an alternate and unparalleled point of view.